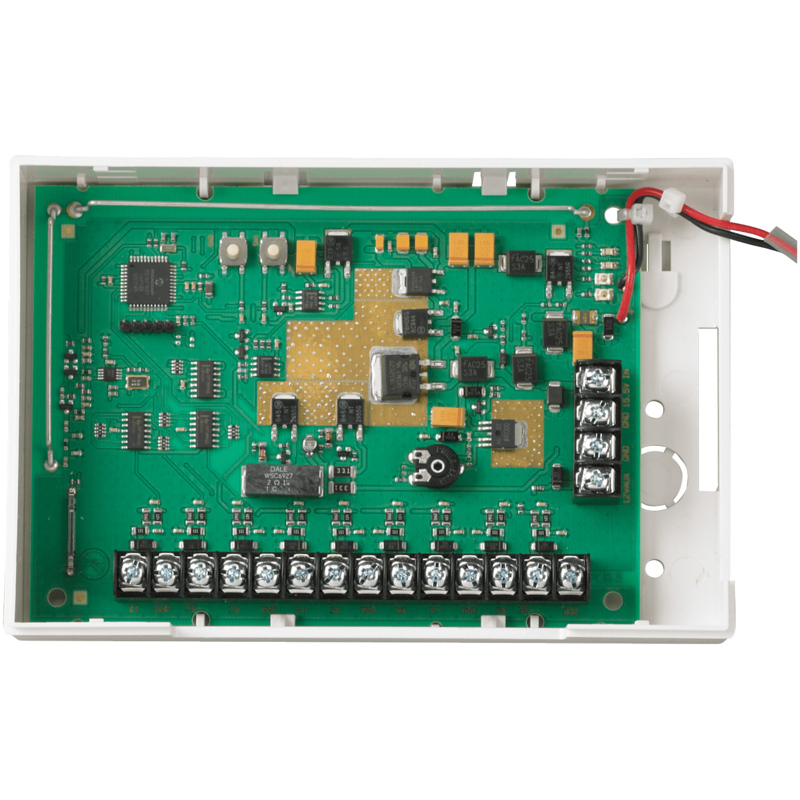 The Honeywell 5800C2W Convert to Wireless Module (referred to as the 5800C2W, module, or 5800C2WCN in Canada) provides the option to retrofit existing security systems by; converting their wired sensors to Honeywell's 5800-Series wireless technology, and replacing the existing control panel with a LYNX Touch or LYNX Plus series control. The 5800C2W also works with residential VISTA control panels equipped with a wireless RF receiver and keypad. Please note, the 5800C2W is not for use with fire or heat sensors and it is recommended that any existing smoke, heat or CO detectors be replaced with new Honeywell 5800-Series detectors. All zones that are used MUST have an EOL resistor. If the existing existing installation zones have EOL resistors (from 1k to 10k ohms) they may remain. EOL resistor values must be from 1k to 10k ohms. For a NC loop without an EOL resistor, you must add one in series with the loop. For a NO loop without an EOL resistor, you must add one in parallel (across) the loop. Preferably it should be located at the end of the loop furthest away from the control panel. The 5800C2W eliminates the labor and expense of adding new transmitters to the system's protection points by using existing wired infrastructure. Ideal for retrofits and new construction installations that have been fitted with hardwired systems. Battery Backup (not included): Use 12V, 4AH battery such as Honeywell 467, Yuasa NP4-12, Casil CA1240 or equivalent. Provides four hours of backup. Battery is to be located in the existing control panel. DO NOT use batteries of larger capacity.